Jackie Phillips is a business advisor and marketing specialist working across the Isle of Wight, Portsmouth and Southampton. She specialises in Small and medium sized businesses and works with the likes of the Southern Co-Operative. She specialises in all things food and previously founded award winning island business ‘The real island food company’. Jackie came to Brightbulb Design to build a new website that she could use to promote her new company. Brightbulb worked closely with Jackie to achieve her goals and have a website that was responsive, accessible and worked well for SEO. After several meetings and development the website was built and Jackie was very pleased. 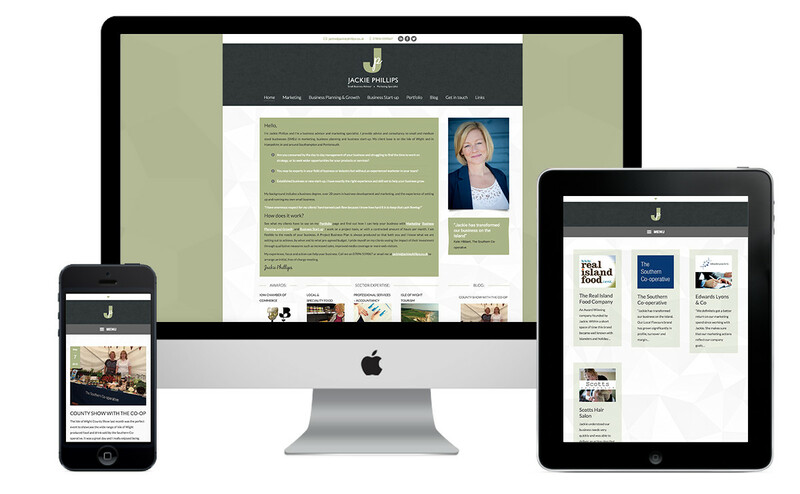 Once the site was complete we put by a couple of hours to take Jackie through the backend of the site to make sure she was 100% comfortable with how it works and how she could update her pages. We also offer ongoing support to all our clients just in case they get stuck.